The Four Poster Bed Company also make Dining Furniture. As the furniture is made to order we can offer complete flexibility as to the size of the dining room table and we can polish the dining room furniture to a colour of your choice. Our standard samples would be sent out for consideration but, if none are a good match with your home, then special finishes can be developed for approval. We can make dining room sets in modern/contemporary, as well as the traditional styles. The selection of chairs we offer compliment all of the standard dining table designs, however bespoke commissions can also be accommodated if you have specific requirements. 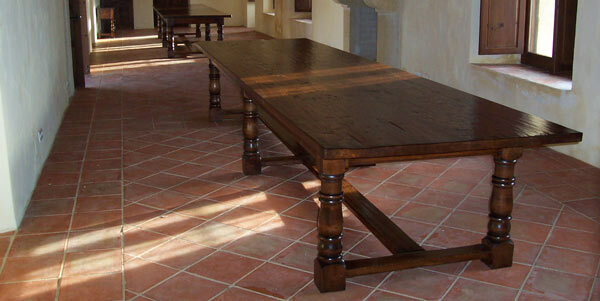 We would make your dining table to order, whether refectory, monk’s refectory or gateleg. 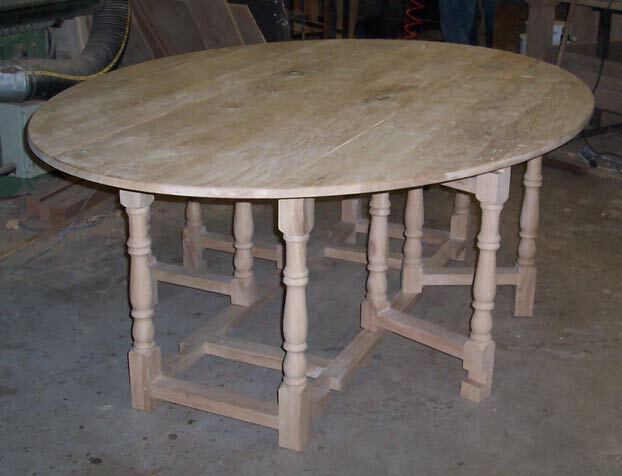 We also offer handmade farmhouse or kitchen tables. To the left are some images of a refectory table polished with dark stain and an unpolished gateleg table. 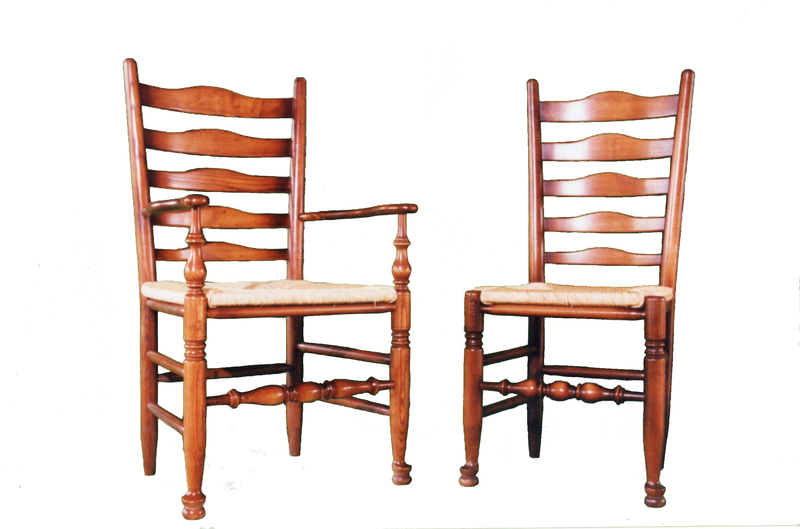 We offer a selection of traditional dining chairs, including the Ladderback, Spindle and Windsor styles. 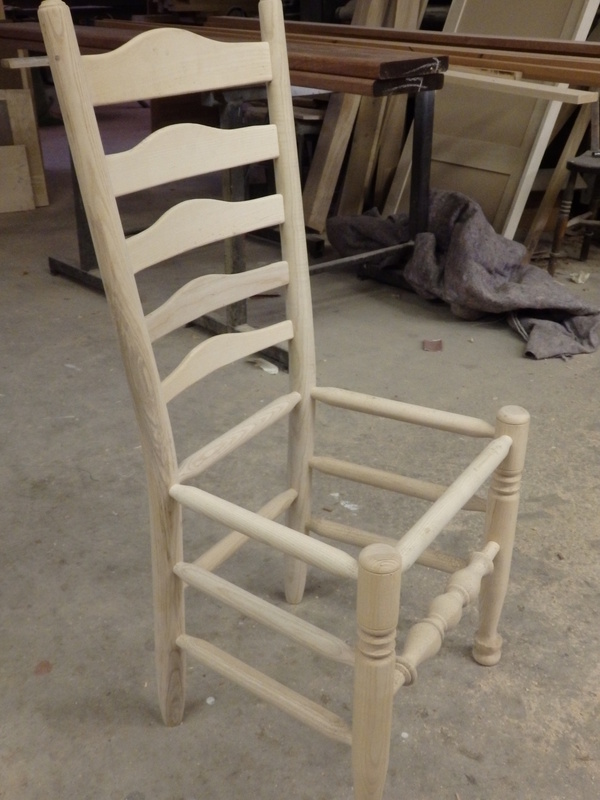 To the left and below are some images of unstained chairs and some that are polished with medium stain.